Riquelme Restoration can take care of the structure as well as the finish of your fine antique furniture. 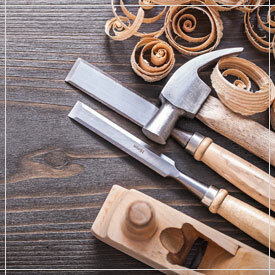 Andres’ fine carpentry skills are useful for solid, joined and veneered fine furniture. Before refinishing a piece of fine furniture, repairs must be made, such as duplicating or replacing old wooden parts, regluing weak joints, recreating missing pieces of an antique inlay. All repairs are made as authentically as possible to the period, preserving the value and restoring the beauty of your treasured piece. Please contact Andres today for a free consultation.